MUMBAI : Electronic music producer Nucleya, known for his unique brand of desi dubstep, will set out on a Sunburn Arena Tota Myna Tour, which will be spread out across six cities from November 10. 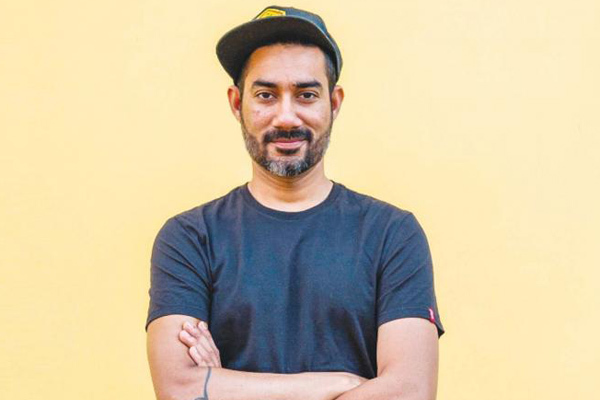 The tour, in support of Nucleya's new album Tota Myna, will travel to places like Mumbai (November 10), Bengaluru (November 17), Guwahati (November 18), Chennai (November 25), Jaipur (December 16), before culminating in Kochi (December 22). The Mumbai free capacity showcase will be supported by Shruti Hassan, Foreign Beggars, RITVIZ, and Shiva Manvi and will host approximately 25,000 fans. This unique event is set to mark the Indian bass heavyweight's first show of his 2018 season, read a statement. Nucleya's album is a composition of a long coming idea that he had envisioned through his signature style of Indian bass, reggae and dance music; along his profound love for experimental sounds of pop. The tracks include collaborations with A-list artists from the industry, including Shruti Hassan and hip-hop star Raftaar, as well as prominent indie artists such as Rashmeet Kaur, Avneet Kurmi and Vibha Saraf. A series of singles will be released over the coming week. The album artwork is done by his wife Smriti Choudary aka pinksoda. "My mother called Smriti and me tota myna when we were younger; we were the inseparable love birds," the Goa-based producer/DJ said in a statement. No wonder then that the album art is inspired by the love birds seen on the trucks travelling in India. "To my fans, I'm discovering and growing every day and hope to do more shows and get more artistes featured and invite as many homegrown talents as possible for this album," Nucleya said. MUMBAI: The sixth season of Koffee with Karan has officially ended. This season made much news and stirred many more controversies. Recently, they had organised the Koffee awards with a super fun panel comprising Kirron Kher, Malaika Arora, Vir Das and Mallika Dua. MUMBAI: There is no count of our happiness level at this time as the entire nation is happily welcoming IAF Wing Commander Abhinandan Varthaman today. And amid this celebration, our singers and musicians are no way behind. MUMBAI: Rapper-dancer Raftaar says he is kicked to be a part of Swag On with Raftaar, his first interactive show as a host.